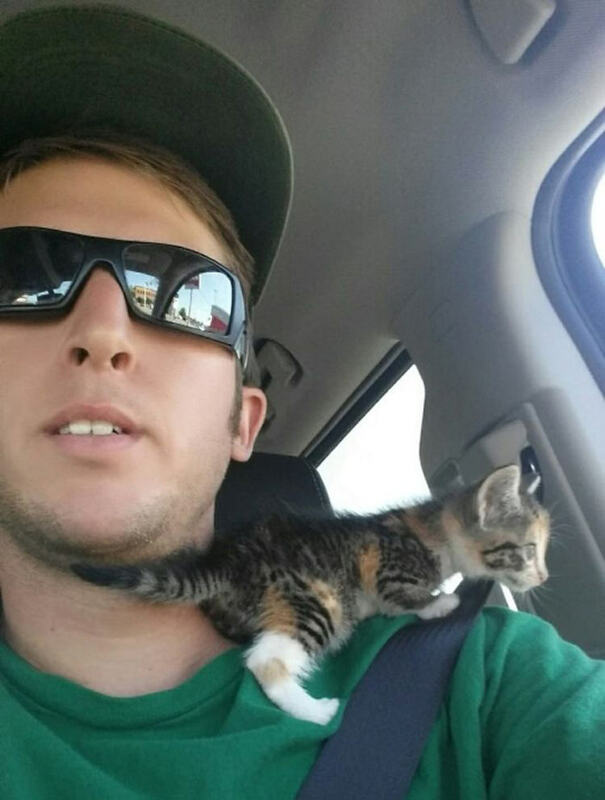 Matt was driving his truck when he spotted a tiny kitten in the middle of a busy road. It looked like the cutie was completely helpless and there was no cat momma in sight. So what did he do? 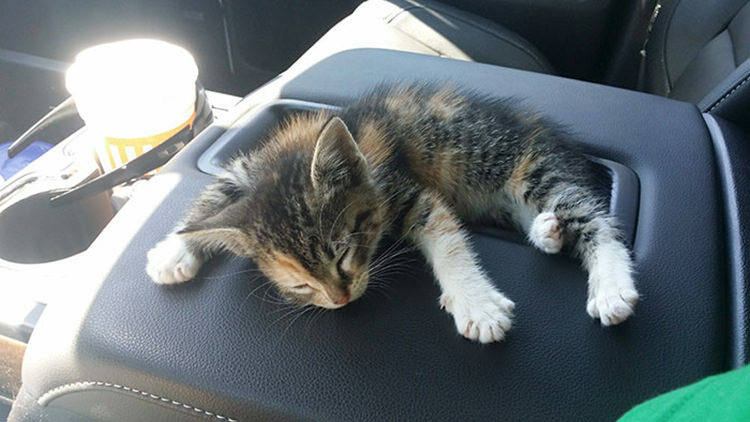 He stopped his vehicle and took the kitten to get her some needed help. 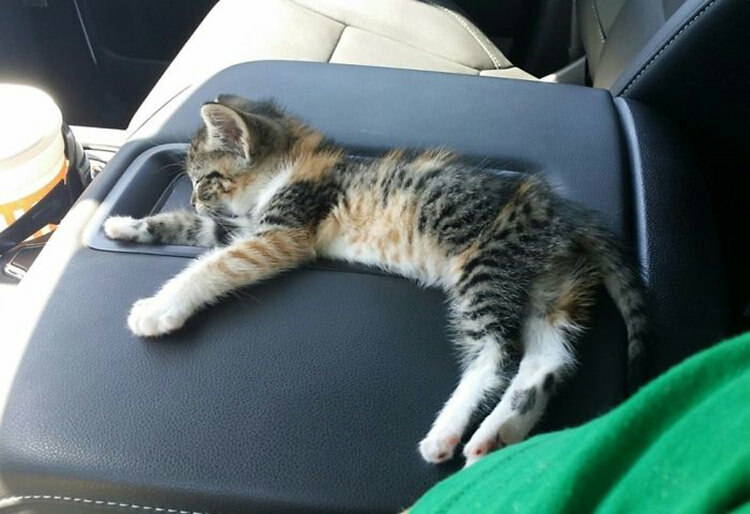 “Took her to the vet the next day to get rid of all of the fleas and as soon as I did, she instantly fell asleep in the truck. I didn’t have the heart to wake her up when I got home so I just sat there quietly with the radio off for about an hour until she woke up,” Matt shared. He also pointed out that the little thing snored really loud but the scene must have been just too adorable either way. 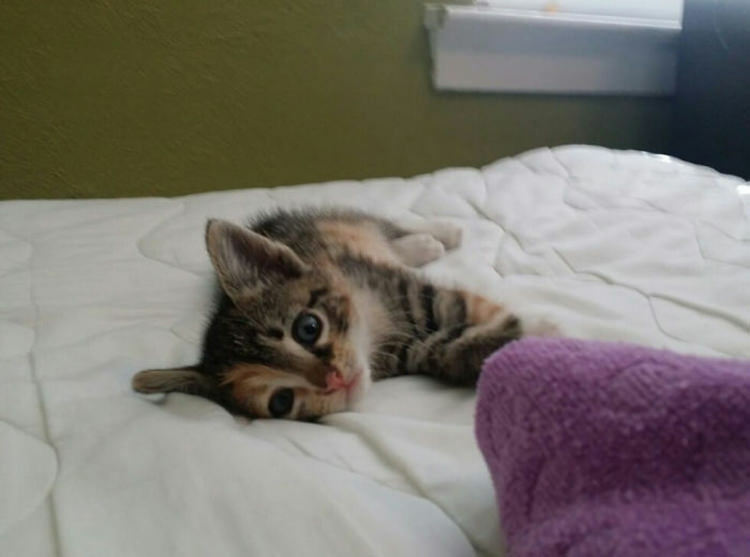 The cutie is now in her forever home, in good hands and probably napping away, melting her new family’s hearts just as she did Matt’s.